The best way to prevent chickenpox is to get the chickenpox vaccine. Before the vaccine, about 4 million people would get chickenpox each year in the United States. Also, about 10,600 people were hospitalized and 100 to 150 died each year as a result of chickenpox. In short, Chickenpox isn't just an itchy, painful rash. Vaccination is still the best prevention, and Uinta County Public Health is ready to help. Meet the chickenpox sisters, villains from BAM! Body and Mind, who make their victims (usually kids) itch like crazy from the rash of blisters that they cause. Varicella-zoster is the virus that causes chickenpox. It usually attacks just once in a lifetime and most often sets its sights on kids. The virus is best known for making its victims itch like crazy from the rash of blisters that it causes. Once it gets going, chickenpox is very contagious and can catch up with anyone in its path who’s not received chickenpox vaccine. Before the vaccine was available, about 100 people in the U.S. died each year from chickenpox. Fortunately, you can make yourself nearly invincible against chickenpox if you get the vaccine. Chickenpox's strongest power is in making victims feel sick, itchy, and miserable for a week or so. From time to time, chickenpox also pulls out some other tricks, like causing swelling of the brain. Luckily, only a few people ever see this side of chickenpox. Chickenpox can sneak in without any symptoms. You may be contagious even before you know you have chickenpox. But, the time you are most contagious is probably the first few days after the "pox" appear. People help chickenpox do its dirty work by scratching their itchy blisters, sneezing, or coughing, which spreads infected fluid to others. After infecting someone, chickenpox goes underground, hiding in nerve cells . Then, it can come back years later and cause a really painful disease called shingles. At first, chickenpox sneaks in disguised as a cold. But soon it stamps its personal trademark on its targets—a red, itchy rash of blisters, usually showing up first on the face and chest. Once chickenpox has made its mark, it adds high fever, and blisters spread over the rest of the body. In severe cases, blisters even show up in the mouth and ears. Chickenpox is an "air and surface" attacker. The cough or sneeze of an infected person sends droplets into the air and onto surfaces. Others then take in the virus through their mouth or nose—either from droplets in the air from a sneeze or cough or when they touch a surface that has droplets on it and then later touch their mouth or nose. Scratching the itchy lesions may also send virus into the air and infect unsuspecting people. Most vaccinated people (around 80 percent) will be completely protected. A small number (15 percent to 20 percent) of vaccinated people may still get chickenpox but will have a milder case and a faster recovery. Chickenpox has gone into hiding in many states that require vaccination for school entrance; and the number of chickenpox cases has fallen by as much as 90 percent in 2005 compared to 1995! Once someone is infected, chickenpox cannot be stopped, but its symptoms can be treated. Cool baths and calamine lotion (which has special mineral oils that treat rashes, bumps, and bruises) can help people feel less itchy. Chickenpox focuses on kids, attacking mostly those younger than 15. Adults who do get infected, though, are more likely than kids to have serious complications. Help shield yourself and others by getting vaccinated and putting chickenpox out of business. Chickenpox operates globally, infecting people in all parts of the world. Chickenpox spreads quickly and easily within a group and loves to come out when the weather starts to get nice at the end of winter and the start of spring. Chickenpox has been doing its dirty work for a long time. The disease was first described more than 400 years ago. In 1767, an English doctor, William Heberden, realized two important things. First, he showed that chickenpox is different from the more deadly disease smallpox. Second, he showed that once a person has had chickenpox, that person usually never gets it again (in other words, they’re protected for life). The chickenpox vaccine was first used in Japan and Korea in 1988 and became available in the U.S. in 1995. Español: Información general Almost 1 out of every 3 people in the United States will develop shingles, also known as zoster or herpes zoster. There are an estimated 1 million cases each year in this country. Anyone who has recovered from chickenpox may develop shingles; even children can get shingles. However the risk of disease increases as a person gets older. 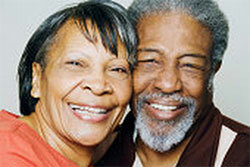 About half of all cases occur among men and women 60 years old or older.